Dr. Mark Mobius is seen by many as the founder of the emerging markets asset class. He has a reputation as one of the most successful and influential managers over last 30 years. In May 2018, with two ex-colleagues, he launched Mobius Capital Partners. The firm utilizes a highly specialized active investment approach with an emphasis on improving governance standards in emerging and frontier market companies. 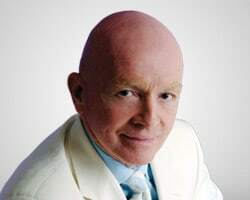 Prior to this, Dr. Mobius was employed at Franklin Templeton Investments for more than 30 years, most recently as executive chairman of the Templeton Emerging Markets Group.